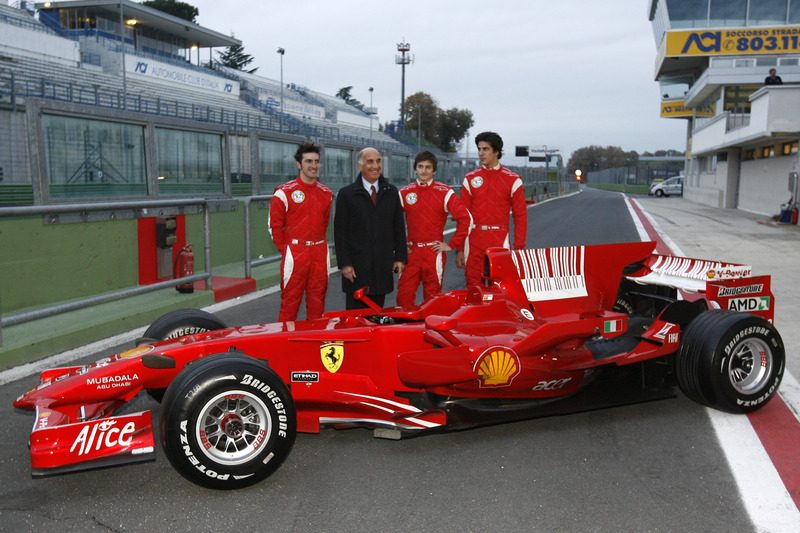 The most exciting moment for the winners of 2011 Formula 3 Italian Championship is now closer. Tuesday, November 15, in Roman racetrack "Vallelunga - Piero Taruffi", the Modena Sergio Campana, Italian Champion and the American Michael Lewis, Rookie Champion, will sit behind the wheel of the Ferrari F60 Formula One for a full day of testing. Also this year the Scuderia Ferrari and the C.S.A.I., the sporting arm of the Automobile Club of Italy, assign a special prize to the best of the tricoloured series powered by Fiat Powertrain Racing. An appointment born in 2008 and renewed for this year when it will again give a fabulous dream experience at the end of a thrilling season, the 46th in the history of F.3 Italian Championship. "The test by which in cooperation with Scuderia Ferrari we award the best drivers of our F3 championship - Angelo Sticchi Damiani, CSAI President, explains - is a moment of great satisfaction and unfinished pride for the Italian federation. Through the route drawn from Karting to Formula AciCsai Abarth and finally in Formula 3 we have outlined a chain by which a young talent can follow a precise path addressed to professionalism. A path of growth and selection enhanced just by the role that Ferrari, through Ferrari Driver Academy and Ferrari F.1 prize test, held in cooperation with CSAI and that makes our championships an unicum in the entire international scene". The amazing award, previously assigned to the first three drivers, this year has been reserved for the winner and the best rookie of the Championship. Sergio Campana and Michael Lewis, who, however, has disputed the overall title of the Modena driver until a few laps from the end of the season ended last October 16th at Monza, will alternate throughout the day at the wheel of the Ferrari F60 with technical assistance of the Scuderia. During the Prize Test, the CSAI will unveil the new Formula Three Italian Championship that from next year will be joined by an international series of eight events, six of which will be valid for the tricoloured series.